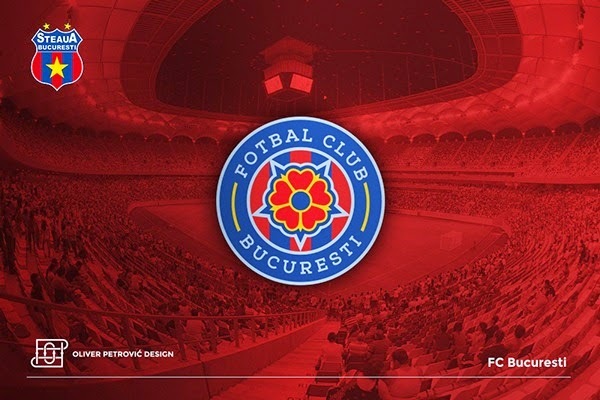 Since we featured Felipe Moraes' Steaua Bucharest concept a couple of weeks ago, we have discovered that the Romanian club's hardships with keeping their current look has been the subject of many artists' work around the world. Today we feature this interesting concept art from Croatian designer Oliver Petrović who has put his spin on what he thinks would be the ultimate design for the storied Romanian club. 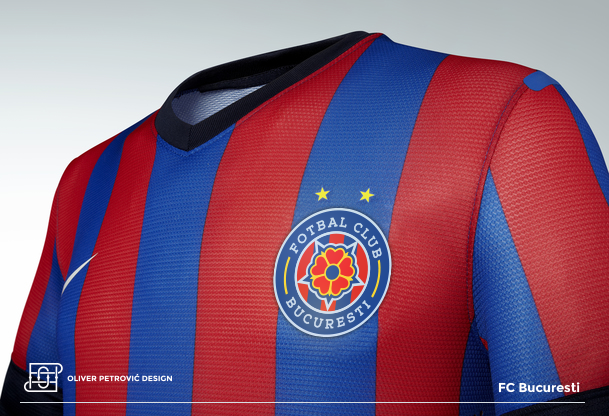 Fotbal Club Steaua București is a Romanian professional football club based in Bucharest. The club is historically known as the Romanian Army sports club. The football department separated, however, in 1998. The club always played in the colours of the Romanian tricolour - blue, yellow and red, so why change it. The team recently lost a legal battle for their historic name so i decided to make a logo that will guide them towards new accomplishments and a history that will latch on to this logo.